As brilliant as the 250cc might have been, there were some potential buyers who thought of it as too large and heavy for their liking. They wanted something that was nimble, light to manoeuvre and got many more kilometres per litre. Speed was the last thing on their minds, and despite wanting better protection from the weather, scooters wouldn’t quite cut it because of their small wheels. Jawa had just the thing for these discerning folks, and that product was the ‘Pionyr’. Pronounced ‘Pioneer’, this little two-stroker made its debut in 1955 in erstwhile Czechoslovakia and, in typical Jawa factory speak, was labelled as the Type 550. 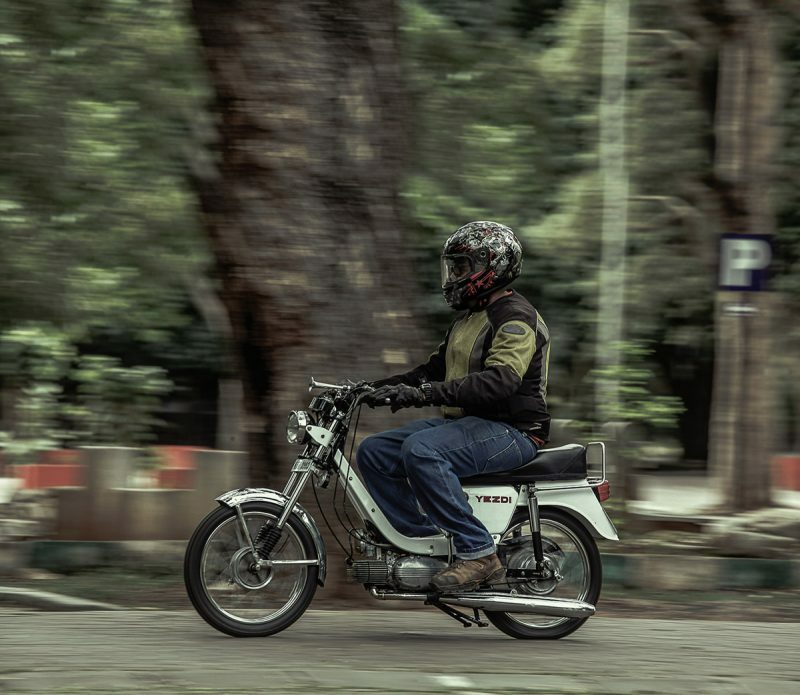 That was all well and good, but motorcyclists are renowned for concocting nicknames that stick and the Type 550 earned the honour of being called ‘The Stump’, a name that was coined from the appearance of its single rider’s seat. Belying its rather derogatory alias, the Pionyr was a strong seller simply because it was cheap, robust and could be fixed even by the village cobbler. In 1958, the Type 555 was launched that incorporated a fair amount of improvements over the Type 550. 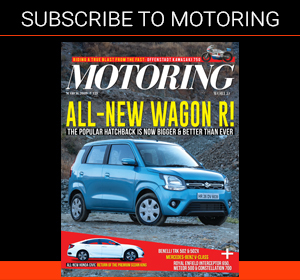 For one, the motor now put out 2.2 bhp as compared to the 1.6 bhp of its predecessor. The designers probably got wind of the 550’s nickname and aesthetics were considerably tweaked for the Type 555. Perhaps the seat was the first on their to-do list because the Type 555 got a longer and better-shaped pad. The rear wheel was now fully enclosed and was kept tracking with the road imperfections with two undamped coil springs instead of the one that did duty on the Type 550. The Type 555 was sold with a ‘sports’ seat, essentially a longer saddle for two-up riding, as an optional extra. Apart from the elongated seat, one could also order the 555 with floorboards and a legshield. It was this model that made it to India and was sold in the country as the Jet 50 Type A. 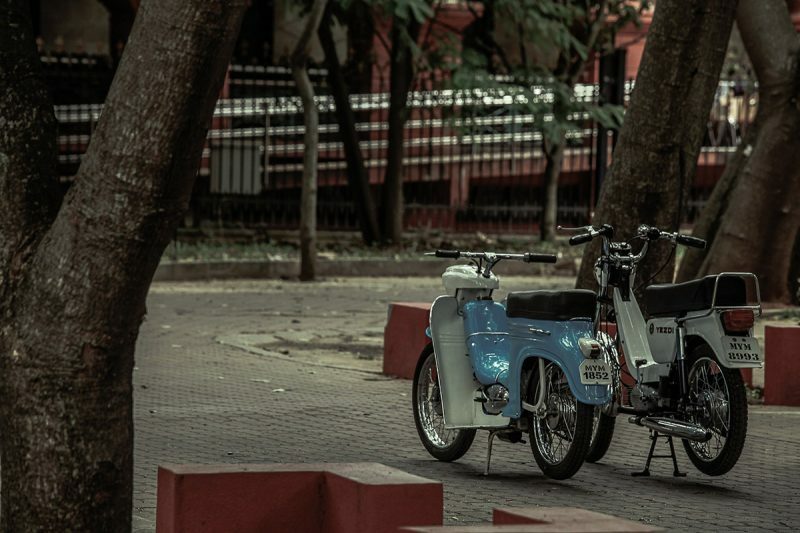 To ride, firstly, the Type A is more motorcycle than moped, despite what its appearance might suggest. 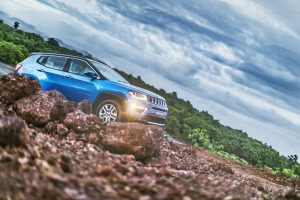 The 16-inch wheels do wonders on the bumps, their relatively large circumference allowing them to roll over the potholes rather than getting in and out of them. The front fork soaks imperfections quite well, although the rear end is a tad too mushy. 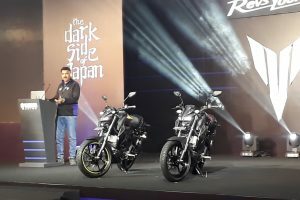 Hit a series of bumps and the rear will begin to pogo about, providing for a sensation that is interesting to experience to anyone who hasn’t ridden a motorcycle without damped suspension. When it comes to acceleration, the ‘Jet’ name is quite the hyperbole. 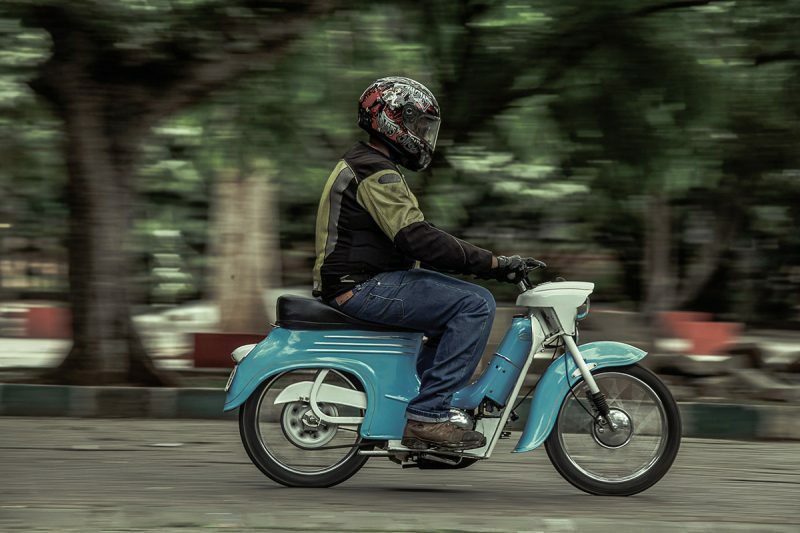 Initial acceleration is snappy for a little 50cc motor, all thanks to that huge sprocket rotating the rear wheel, but pinnacle velocity is achieved at 60 kph as claimed by Jawa. I got to about 30 kph and it still had some poke left in it, but I wouldn’t expect it to go to anything more than 50 kph comfortably with a rider of my dimensions. Another aspect that makes the Jet 50 more motorcycle and less moped is the fact that the engine does not have any pedals to get it going. 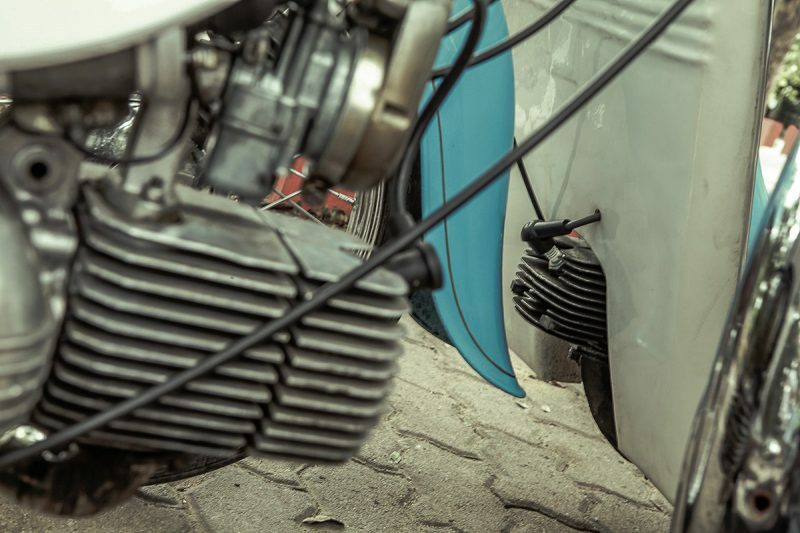 The kick starter, in uncharacteristic Jawa fashion, is located on the right of the engine whilst the left has the shifter that does not double up as the kicker. The gearbox, enclosed in those gorgeous aluminium covers, consists of three speeds and shifts just as well as any well-maintained Jawa. Just like its foreign Pionyr sibling, the Jet kept evolving as the years went by, with the A being preceded by the Type B which now displaced 60cc. The Type B in turn was replaced by the Type C and by the time the Type C had developed into the Colt 60, the motor was now an all-aluminium job, instead of the cast-iron block that the old Type A had to make do with. The version of the Colt that I swung my legs over was the Deluxe which is the final version of the small-displacement two-strokes that began in the country with the Jet 50. 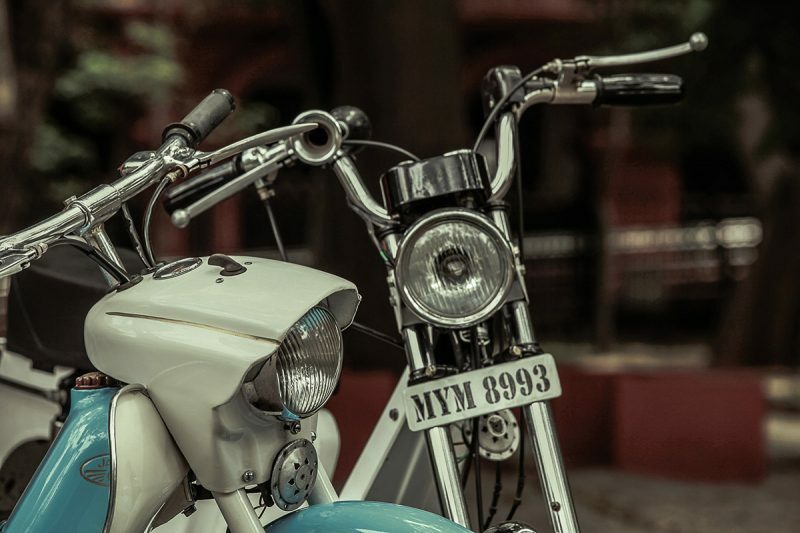 When this Colt was manufactured, it seems that the top management of Yezdi had read the writing on the fall, as this model seems more like a parts-bin special than a really significant improvement over the Jet series of bikes. 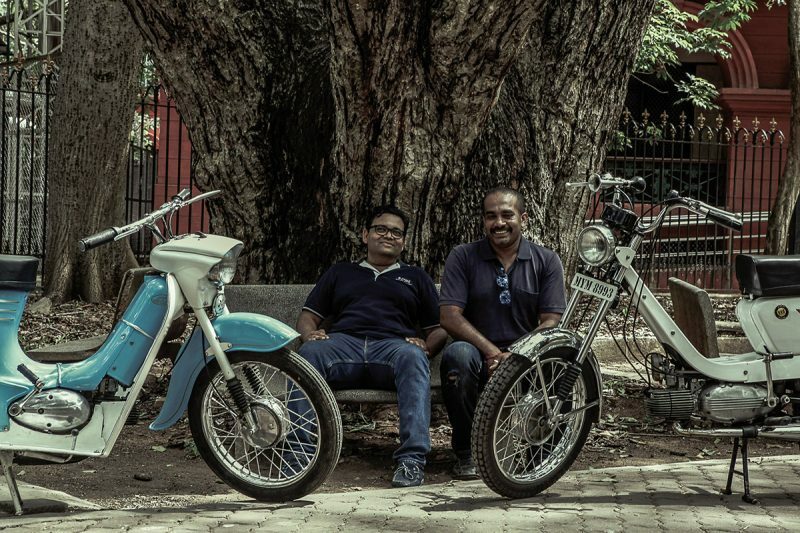 The side panels and the rear fender look like they’re straight off a Yezdi Monarch and the handlebar looks like it was taken off some generic moped of the era. But in reality, the Colt Deluxe had a few tweaks that are easy to miss if simply given a cursory glance. For one, the gearbox cogs were selected by a twist-grip shifter beside the right handlebar grip, rather than with a pedal. The kickstarter had moved to the left, an ode to the bigger Jawas of yore, I suppose. The rear end had gained proper hydraulically damped shock absorbers and the headlight, now a rectangular unit in keeping with the times, was held in place with two brackets. All of this resulted in a machine that is rather an odd ball of a looker. Riding the Colt made me realise the kind of effect that 10cc of engine capacity can have on a machine. The Colt is far quicker off the mark and seems more eager on the whole. I wouldn’t go to the extent of saying that this diminutive Yezdi could scorch drag strips any time soon, but it certainly is sprightly for its size. The twist shift needs some getting used to, honestly, but once you master it, the cogs engage and disengage easily. The brakes on this one seemed sharper, but then again, the Jet 50 had old liners that were pretty much past their usable tolerances. 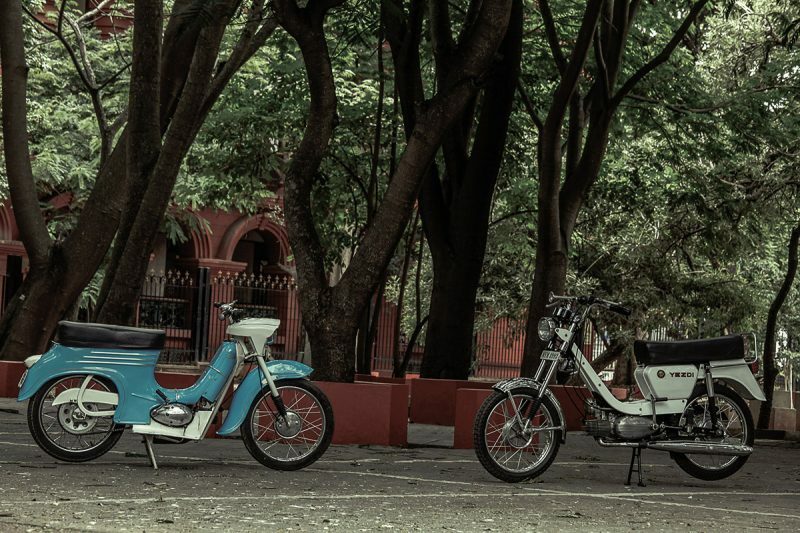 The Colt Deluxe was the last small-capacity two-wheeler that Yezdi made before the company shut shop in 1996. 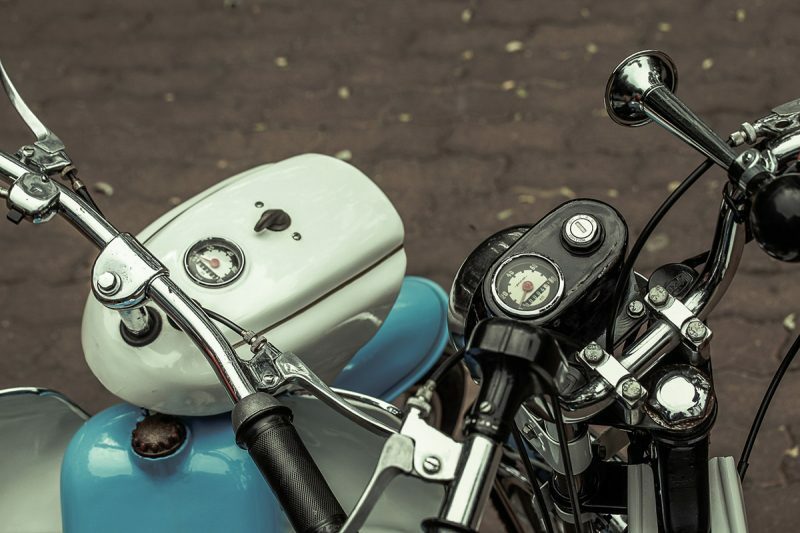 Although these motorcycles will never be made again, the logic behind their creation still holds true even today. 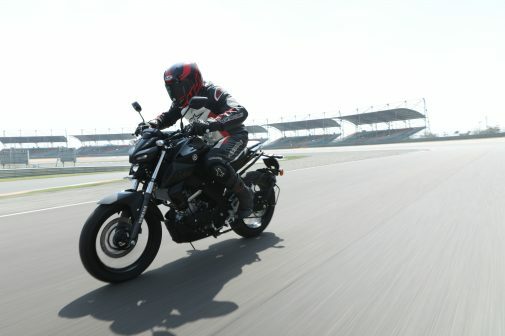 There really is no such thing as a motorcycle that fits everyone and that’s what makes bikes so damn interesting — there’s one for everyone!